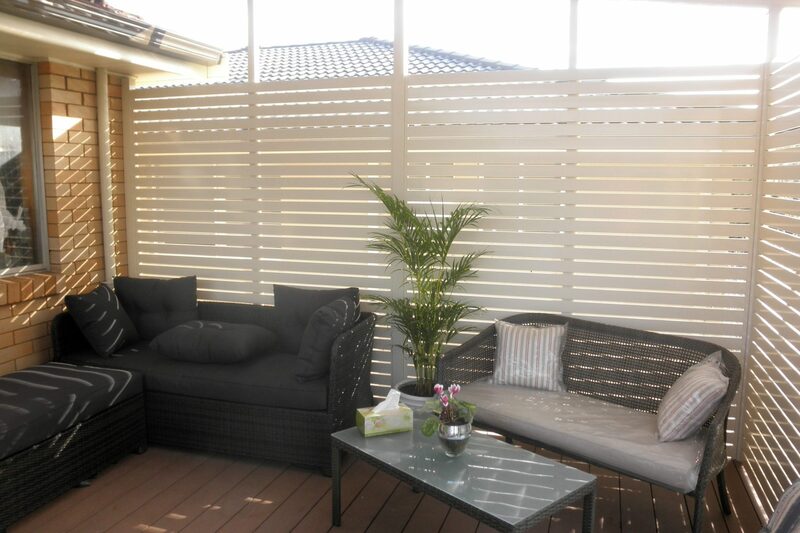 A privacy screen is a great way to maintain your privacy from your nosy neighbours, as well as blocking out the sun, all while maintaining a high end finish. 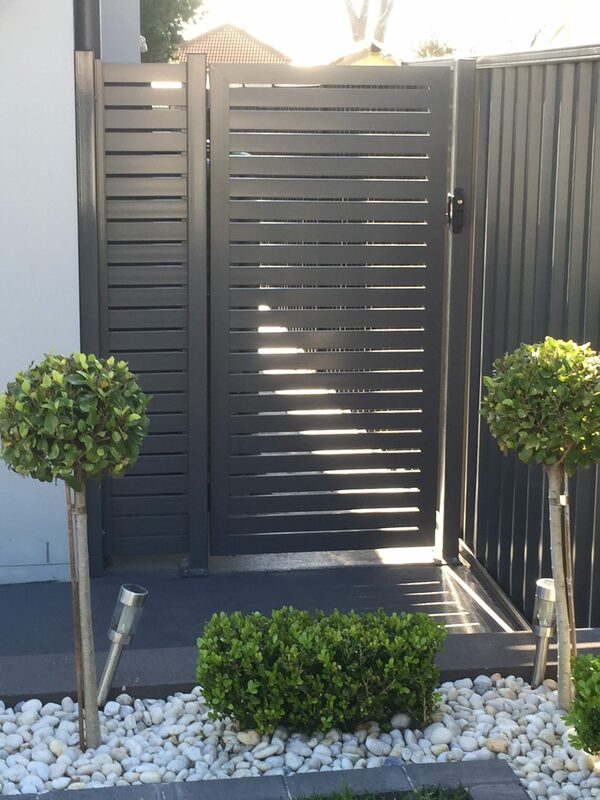 Our privacy screens are made from premium extruded aluminium and come in a range of different colours and timber-look finishes. 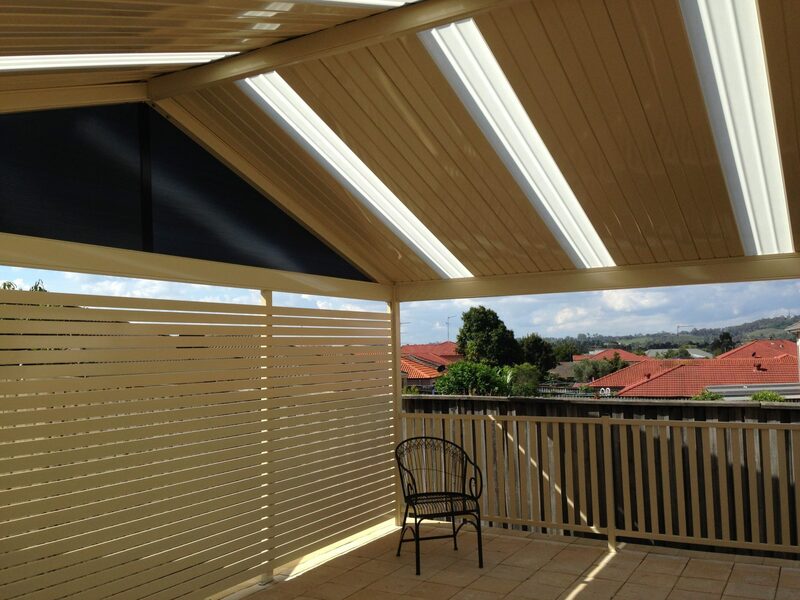 There are many different materials to choose from, such as aluminum slats, fixed louvres and operable louvres. Speak to one of our friendly team members to discuss your privacy screen design today. A floor to ceiling privacy screen offers maximum privacy and shields you from the sun which also protects your deck. 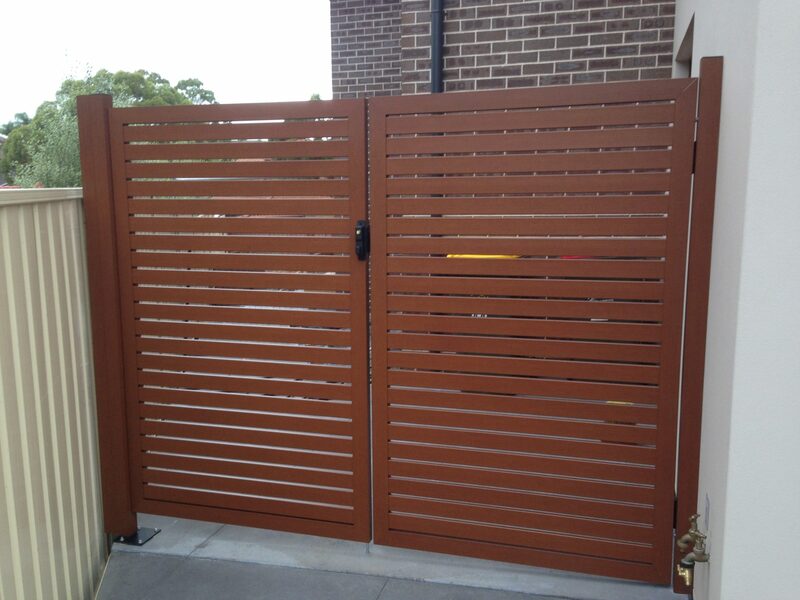 Our aluminium privacy screen materials can also be utilised as an appealing security gate for the front of your carport or around the side of your house. Our security gates feature a durable pro-lock system for added security and can reach large spans for those storing large items such a cars. 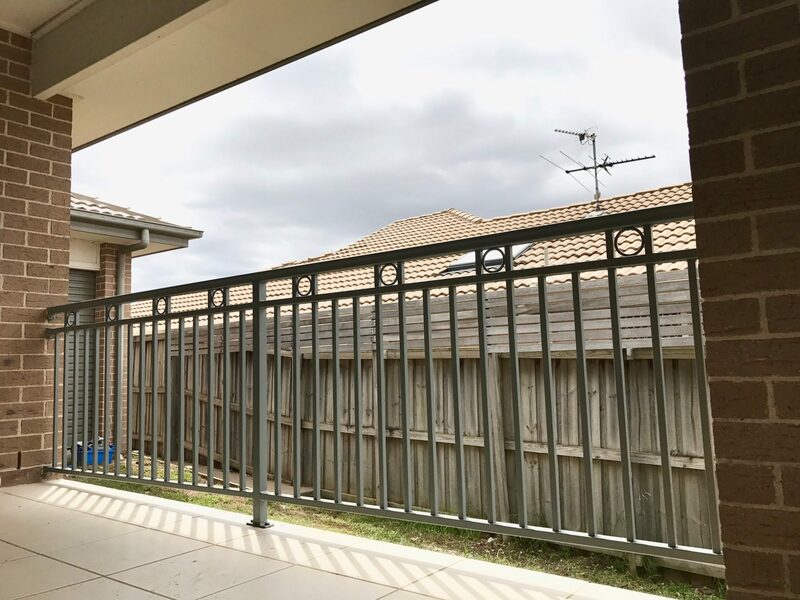 Combining a balustrade with your privacy screen will break up your space while still keeping your area safe for toddlers and children. We use an all-aluminium system, as opposed to steel like others, for a corrosion resistant finish to make sure that your balustrade lasts for years to come. Privacy screens work great as a feature at the end of your pergola or patio setup. 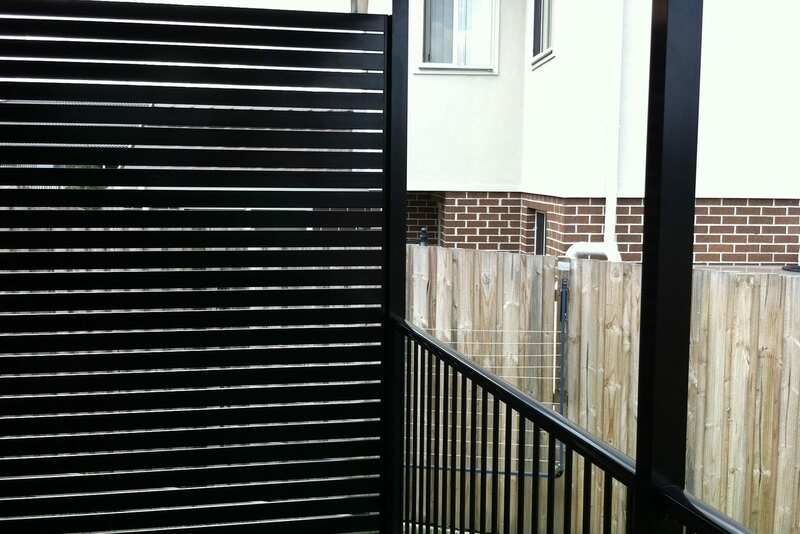 Our security gates with aluminum slats can be adapted to tiny side passageways outside your home. The sturdy design allows minimal framework to keep a nice clean finish. Aluminium balustrades can be manufactured with additional patterns and infills to match the style of your home. We can also customise the size of the slatted balustrading and change the orientation (horizontal or vertical).